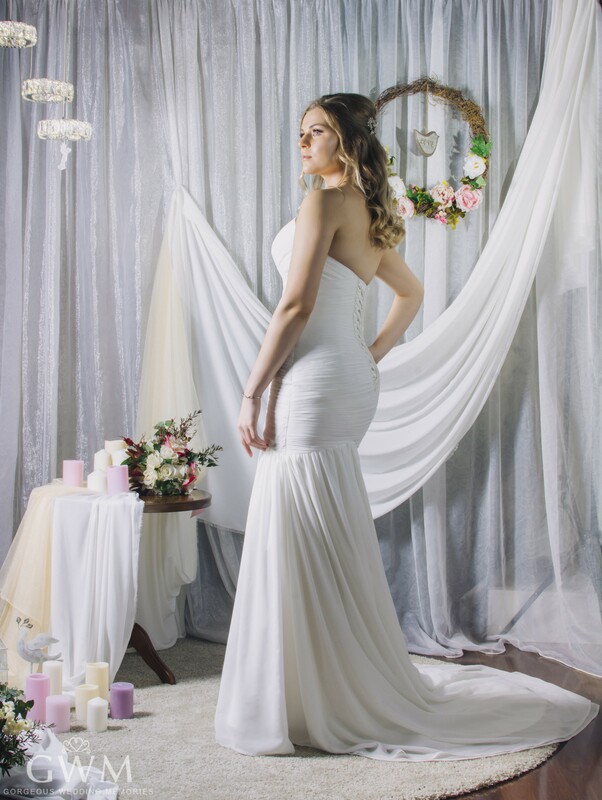 A Chiffon Bridal Gown with ruching on the bodice and a flowy mermaid style skirt. Pearls subtly detail the dress. Available in Ivory with Zipper/ Lace up.